While Tim Giraudier floated through his youth and his 20s doing and enjoying different jobs, activities and experiences, there was one common thread. He almost always had a camera with him. He photographed his surroundings— from research lab work in Portland to aquaculture work in Illinois to commercial fishing on a salmon troller in Alaska. The 1993 Portland State University graduate and Westfir resident also made trips to Australia and New Zealand. 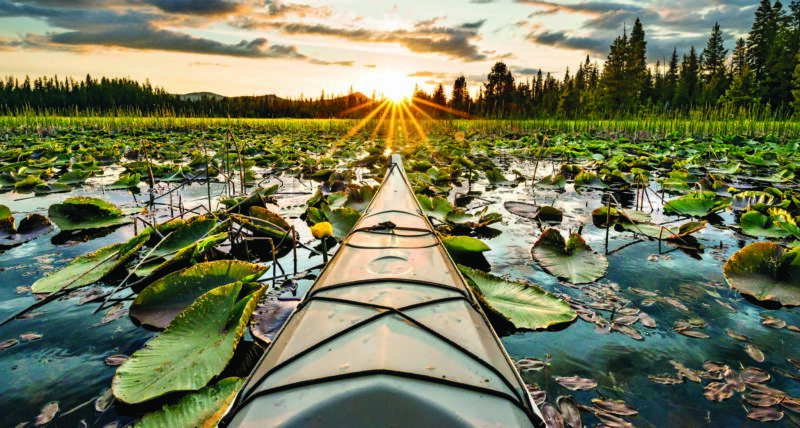 Photographer Tim Giraudier specializes in scenic photos of Oregon sites. In 2004 at age 33, Tim decided to make photography his full-time occupation. He established Beautiful Oregon as his business name and www.BeautifulOregon.com as his website. Tim introduced himself and his photography to the public at a Saturday Market in Eugene in 2004. He displayed photos he had taken while working and traveling. He remembers selling at least one photo at that event. Since then, Tim has displayed his photos at art shows in Lake Oswego, Salem, Sunriver, Bend, Hood River and Eugene, and out of state in Boise, San Francisco and Seattle. Tim says it took him about three years of accepting every job offered—business photos, weddings, portrait and product photos—to realize he could do photography for a living. He gradually began specializing in large Oregon landscapes, taking photos at the coast, in the mountains and in the high desert. “I was working on the idea of showing Oregon and everything that it is,” he says. “I was trying to find the crossroads between what would sell and what I was interested in shooting. 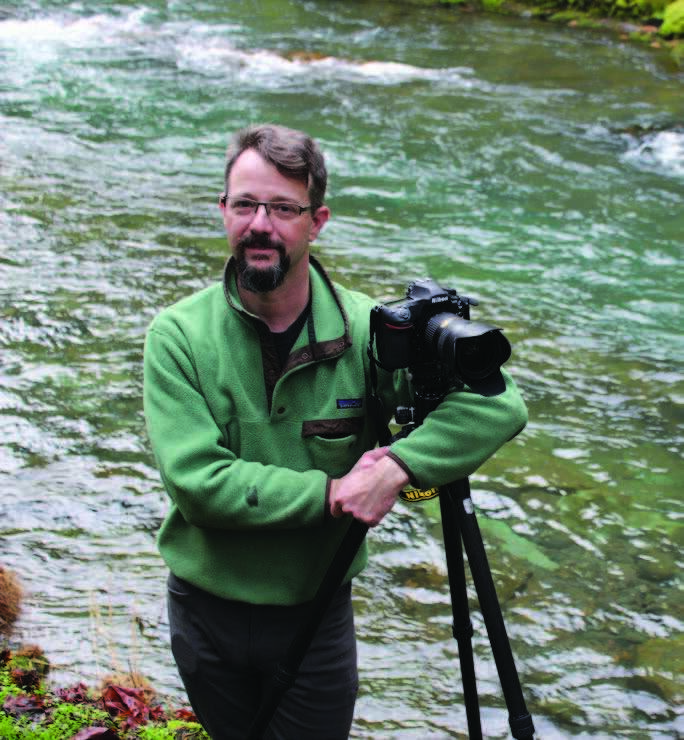 Tim, who moved from Eugene to Westfir in the Cascade Mountains in 2013, says he has felt most comfortable with his photography business in the past five years. He has narrowed his focus to Oregon landscapes, birds, flora and people recreating in the outdoors. He has traveled to most parts of the state to shoot photos. He says his favorite is the Three Sisters Wilderness Area in the Cascade Mountains. In addition to his photos being purchased and displayed in homes, numerous dental and medical offices have bought his work. The office owners say the landscapes provide a calming, therapeutic feeling for patients who may be nervous during their visit. Oregon Oncology Specialists in Salem have 30 to 40 Oregon landscape photos by Tim in their facility. Steven Taylor, the CEO and a partner in Oregon Oncology, says when the facility transformed from a traditional clinic into a sanctuary for cancer patients a few years ago, he wanted to fill its space with special places. Steven had seen Tim’s photos at the Salem Art Fair and deemed it a good fit for the clinic’s new design. 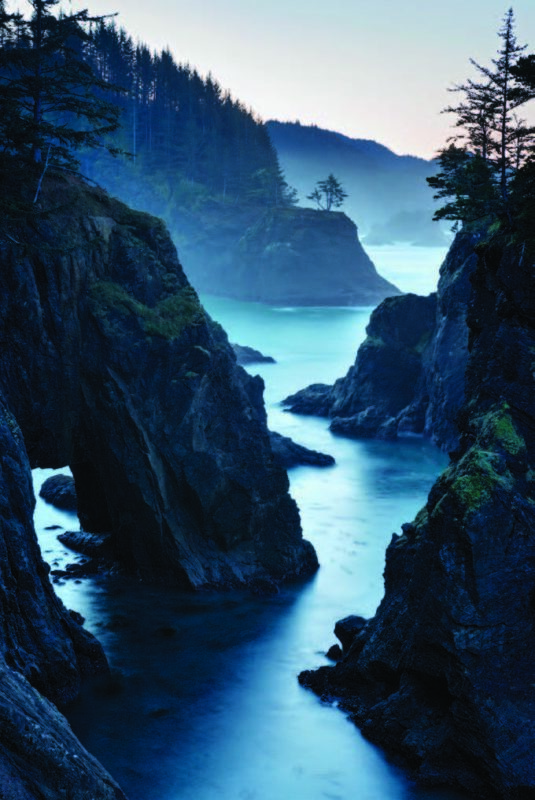 Tim and Judi Welch have Tim’s landscape photos in their Eugene dental business, Northwest Oral & Implant Surgery. When they remodeled the office several years ago, they included several of Tim’s photos. More photos were added when the office expanded three years ago. Tim says he shares the credit for his photography success with those who have bought and displayed his work. “I’m eternally and always grateful to people who appreciate what I’m doing,” he says. “I’m always thankful for their support. Each person who has bought a piece from me is part of my success. Tim’s work features scenes from all corners of the state. For more information and examples of Tim’s work go to www.BeautifulOregon.com or visit his Instagram Oregon photo blog at tim_giraudier.